Enter a whole new world of “Cardfight!! Vanguard”. Cardfight Online. And based on what I have seen… This is… pretty much how i imagined an online Cardfight Vanguard game can look like. Now the gameplay is still in a developmental stage, but it is slated for release late this year during the holidays. And I find this to be pretty promising already. It’s likely up to date in card packs with G-BTs, as seen with Gear Chronicle units and Striding. A system very similar to the ones found in the Japanese Cardfight Vanguard games on the Nintendo 3DS, updated to play with G format. Global server, so that you can play and meet with players around the world. It is a very good thing too that this is in the works, given that the English Vanguard community has not had any sort of game, PC or handheld console, for Vanguard. And from what I hope that it can be, it’ll be the Hearthstone for Vanguard players. But these hopes may not be fulfilled come the end of the year. I understand that it’s only an announcement video, and I do hope that the developers will continuously provide updates about its development, and what more we can expect. I am alright if the card releases follow the English format. That is alright by me, even as a Japanese text cardfighter. The English Vanguard releases have been catching up to the Japanese Vanguard releases. I feel it is only a matter of time before both Japanese and English BTs, EBs and TDs will be released within a month’s time of each other. But with the lack of information comes a lot of fears that this may not live up to certain expectations, and while I acknowledge that these are pre-emptive comments and opinions, which I desperately want to be proven otherwise by the developers at Cardfight Online, the biggest fear I have now is their payment system for new packs and cards. My history with freemium MMO games in the past has left me feeling very demoralised on how they will structure their payment system for buying new packs. Granted these are from memories of years ago, and I won’t bore you with the details, on top of the fact that I can’t remember them specifically. But, I don’t want to have to shell out money to buy my RRRs or GRs that are on limited releases, especially if they are signature cards like Dragonic Overlord. Blaster Blade, Blaster Dark Diablo, and the rest of the list. Give me access to buy the entire cardlist in Vanguard! I’m looking out for kids who love Vanguard to death but have to rely on good behaviour, grades, birthdays and whatever savings they could muster up to mod and improve their decks with a new pack, so that they can have fun during recess with their richer friends that fight with a full Kagero Dragonic Blademaster deck. It could be demoralizing and it could deter them from even picking the game up to play, especially when they have no means to pay for what they want, when they can simply go to Cardfight Arena and build any deck they want to play with. Now granted, they announced that you can purchase packs with in-game currency or cash. That is a big breathing space for me, as I feel that if there’s anything that the developers can learn from for their payment system, it would be Blizzard’s Hearthstone, where they give you quests to earn in-game currency to buy one new pack of cards, or pay for more packs for players with salaries. It keeps the game accessible to all players, no matter who you choose your target audience to be. Keep your cash purchases to cosmetic changes, like avatars and alternate arts for cards, or simply make both of them payable with cash or in-game currency. Speaking of quests, this is a perfect platform to introduce the FIVA system from Cardfight Vanguard G into an online game. Players can fulfill quests randomly generated every day, that range from winning a number of fights to calling a certain number of units. 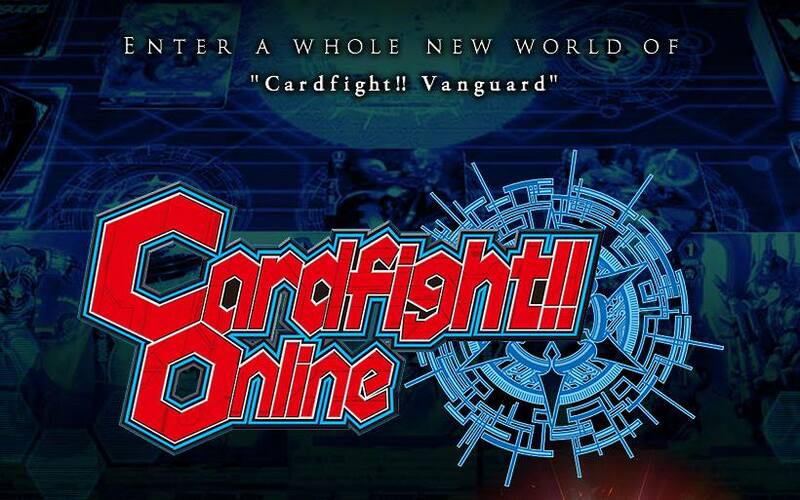 There’s a lot of potentiality that Cardfight Online can have, and it is up to us, the community, to encourage the developers to keep working hard and bring us something less generic and more uniquely Cardfight Vanguard-esque. The ideal platform for all players of the game to want to play the game, either building decks they can’t afford to build or testing their real-life deck builds against other players. But I don’t want them to release an unpolished game. It’s never good to overload your box with all your stuff, if the box you built isn’t sturdy enough, if you get my analogy. And they don’t need to do that too. Focus on developing and perfecting your core gameplay, the fight system. I’m perfectly okay with only seeing the main menu screen, the matchmaking screen, the shop screen and the fight screen, as long as the fight screen is polished and functional. And honestly, I feel very settled on the fact that they do have the Japanese Cardfight Vanguard 3DS games to base everything else on. I can’t imagine anything I just said here would influence their workflow on developing this game, but I will put faith in their own, and look forward to reviewing Cardfight Online when it is released in the Holidays 2015.